With Discover Languages Month coming to a close very soon, I wanted to take a chance to share some of the resources that I used when I first "discovered" French, eleven years ago. These are the books, websites, movies, etc. that I used all through high school and some of them I still use today. 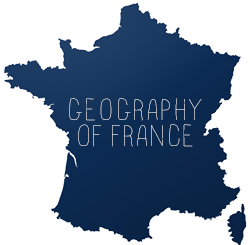 If you're just discovering French or looking to recommend something to someone who is, have a look at this list! 501 French Verbs helped me understand all the little minute details of verb tenses like direct object pronouns in the passé composé or the imperfect subjunctive tense. What I like about it is along with seeing all these verbs conjugated, they give you some useful expressions with the verb, and they have a whole section on how to use each tense, along with practice exercises. French à la Cartoon was a great way to learn about some common French idioms. This is a book of cartoons, translated from French to English. The idea behind the book is that a language can't be translated word for word, so by reading these you pick up on the cadence of how the language is written along with some idiomatic expressions. There is a pretty extensive glossary too! Le nouveau petit Robert 's title is misleading; it's far from petit. This is a complete French dictionary, with the definitions all in French. I read La Ferme Des Animaux (George Orwell's Animal Farm) for extra credit in 10th grade English class. This book has the French text on one page and the English text on the opposing page. This is another excellent way to pick up some vocabulary and study the cadence of the language, because you will be able to see that many things are not translated literally. The Firefly French/English Visual Dictionary (English and French Edition) has a picture of every "thing" you can think of, accompanied with the French and English word for it. When I first looked at it, I was in awe of how complete it was. Paris by Assouline is a beautiful book comprised solely of photos of Paris. Gourmandises by Alizée is a fun techno-pop album, and one of the first French pop albums I listened to. Once you've heard that you can move onto Mes Courants Electriques , which is a little mellower. Her latest work, Psychédélices , I found disappointing. The French Album by Céline Dion is great collection of songs by one of the most famous Québécois chanteuses. Most people either love or hate Céline, and I think she has a great voice that sounds even greater in her native language. Lorie sings sugary sweet pop that I couldn't get enough of in early high school. Her Live Tour CD has a nice range of songs on it. The lyrics are simple enough that students can learn from them. Zebda are a rock band from Toulouse who mainly sing about social issues. Their CD Utopie d'Occase is a good start. Back in the stone age when VHS was the medium of choice for viewing...well, videos, I acquired quite a collection of Disney Sing-Along Songs videos in French. What's so great about these videos is that they are all "karaoke" so to speak; the lyrics appear at the bottom of the screen. You also generally know the lyrics in English, making it much easier to pick up any French words you don't know. The issue with VHS and DVD for those who want to purchase international titles is that they are often not region-compatible. The US and Canada share the same VHS and DVD formats, so buying Canadian titles in French was how I got my French VHS. Since most European countries share VHS and DVD formats, buying French titles in Europe is a cinch. I believe the Sing Along Songs DVDs now come with a French language track, which I assume means they also have French subtitles, so now the compatibility issue is obsolete. 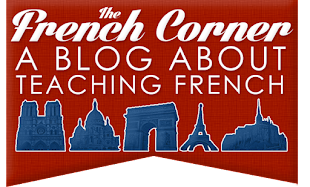 When I was first learning French, I often read blogs or websites written by young people in French. It's a great way to pick up some slang, especially internet slang! For instance, the equivalent of LOL is MDR in French (mort de rire = dead from laughing) The number 2 is often used in place of "de" (of/from) since "de" and "deux" (2) have the same pronunciation! One place to find blogs like this is MySpace France. Hey, thanks for all of the materials you recommend! I noticed that there aren't that many websites for learning French, but this is one I like: my-french-tutor.com. Have you seen it? What do you think of it? At school presently (in India) we're using this book called "forum". It's brilliant! There's nothing like it! We used to use Encore Tricolore earlier on in school but it was really sucky and forced us to just memorize the words and verbs. Forum is better in putting your knowledge into context. Check it out. And I TOTALLY did not know that Celine Dion was Quebecoise!! That's so weird, and cool!! Have a listen to "J'ai demandé à la lune" by Indochine. Had to sing it for schol -----> beautiful song. Super! Je suis une femme americaine qui voudrais commencer un blog en francais (j'ai deja commence en fait...http://camilledupre.blogspot.com/) J'adore votre blog et les choses que vous avez recommende-tres utile je trouve. Alors, je vais essayer a faire un blog (comme vous) qui est pleine des idees utile pour beaucoup des gens. J'espere que vous pouvez m'aider... a bientot! I had a nice tour with your website. It is just a great coincidence that every info I need is I quickly found right on your website.Cool! Keep posting. Love your recommendations and useful materials. Can 't live without 501 French verbs. Use it in Spanish too.